When the seasons change, many crave a new, fresh look. Winter is an excellent time to ditch last summer’s sun-kissed locks and experiment with deep, rich hair colors. Whether you want to try a shade closer to your natural hue or venture into new territory, below are a few options that will flatter your complexion and add flair to your winter wardrobe. If you want to try an eye-catching, non-traditional hue, consider a hair color palette of varying shades of blue and purple. The dark, cool tones will add depth to hair and make locks appear fuller and bouncier. Styling strands in soft, loose tendrils will soften the look and complement more feminine pieces in your wardrobe. 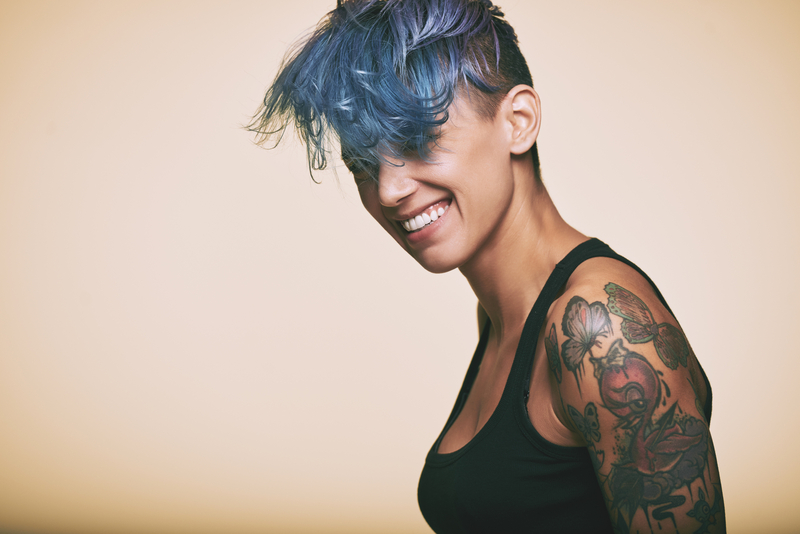 For an edgier look, try a pixie cut or jagged bob. If you want to make brunette hair appear more radiant, think about updating your current look with a chestnut brown color all over. To give tresses a subtle hint of warm burgundy, add cinnamon highlights too. Keeping the hair in soft waves will help the colors blend and give the appearance of structured layers. If you want to try a lighter hue, a gold base with silver highlights will brighten your complexion during dreary winter days. The lighter look also pairs well with bright colors like pink and purple, so it will help you transition into next season’s hair color. As for styling, wear tresses down to frame your face and showcase the subtle variations in the overall hue. Remember to moisturize the hair frequently and get regular haircuts to protect your new look from dry winter weather. Whether you want to try one of the above hair colors or have a different idea in mind, the stylists at Bloom Beauty Lounge in New York City will make your vision a reality. Based in Manhattan’s Chelsea neighborhood, this hair salon has gained a stellar reputation for providing clients with on-trend haircuts and superior styling services. To schedule an appointment, call (212) 255-9355. You can also visit the stylists online and follow them on Instagram to see pictures of clients’ new looks.